Hide this Project (Pinnacle Residency) Discover properties in other projects by hiding the ones that doesn't interest you. You won't see them in your searches further but you can unhide anytime later. Hide this Dealer (Sevagiri Realtors)Discover properties by other dealers by hiding those whom you have already spoken to. You won't see them in your searches further but you can unhide anytime later. Pinnacle Residency in Kharghar, Mumbai Navi is a residential project. The size of the Apartment ranges in between 580.0 sq.ft. and 1550.0 sq.ft. Pinnacle Residency price ranges from 40.00 Lacs to 41.00 Lacs. Pinnacle Residency offers facilities such as Gymnasium and Lift. It is a ready to move project with possession offered in Sep, 2013. What is the project location?The project is located at Kharghar, Mumbai Navi. What size of flats are available in Pinnacle Residency? The apartment sizes in the project vary from 580.0 sqft to 1550.0 sqft. 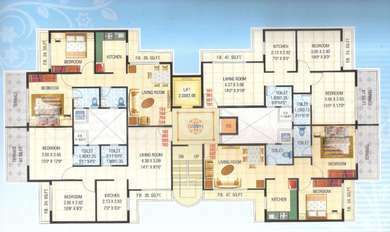 What is size of 1 bhk in Pinnacle Residency? The area of 1 BHK apartments ranges from 580.0 sqft to 625.0 sqft. What is size of 2 bhk in Pinnacle Residency? The area of 2 BHK apartments ranges from 991.0 sqft to 1050.0 sqft. 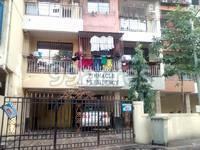 What is the area of 3 bhk in Pinnacle Residency? Three-room units (3BHK) in the project are available in an area of 1550.0 sqft. What is the price of 1 bhk in Pinnacle Residency? The price of 1BHK units in the project ranges from Rs. 3650000 to Rs. 4100000.